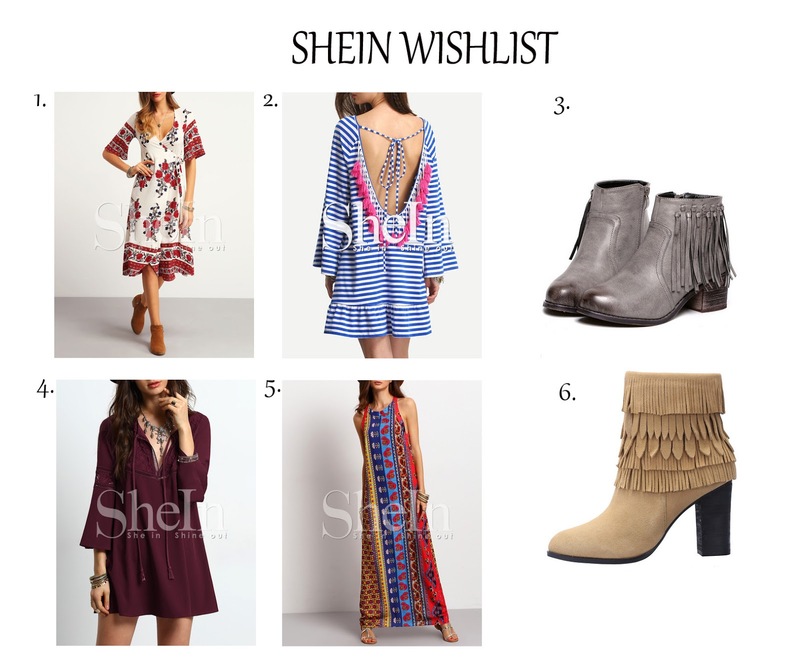 It's been a long time and I never make a wishlist, and now I made a wishlist, this wishlist is from Shein . So envy cause I can't go to Coachella since last week when I opened my Instagram, so many people posted their oufit for Coachella, so, today I will share my kind of outfit, yes of course I'll wear it if I could go to coachella, lol. Cause you know I love being boho sometimes but edgy at the same time. And if you curious, Shein also have clearance sale to up to 85% off, so what are you waiting for? I like this spring list. My favourite is the marsal dress. All pieces are pretty - i also would like to buy number 2. it´s really beautiful and will fit perfectly into my wardrobe.